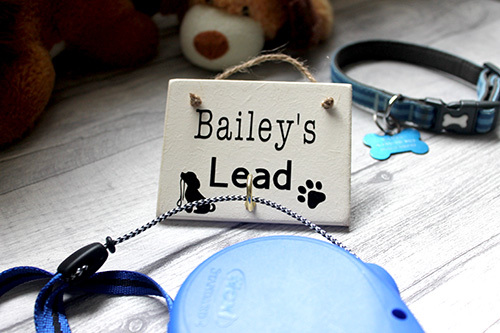 This “Bailey’s Lead” personalised dog gifts for dog lovers plaque makes the perfect gift for any dog lover. These plaques make great dog gifts for dog lovers. It measures 6inches by 3inches approx is handwritten, handmade and professionally made in the UK! It can hang from any wall, door or any other possible place you could hang a plaque from, with the natural twine which is included. 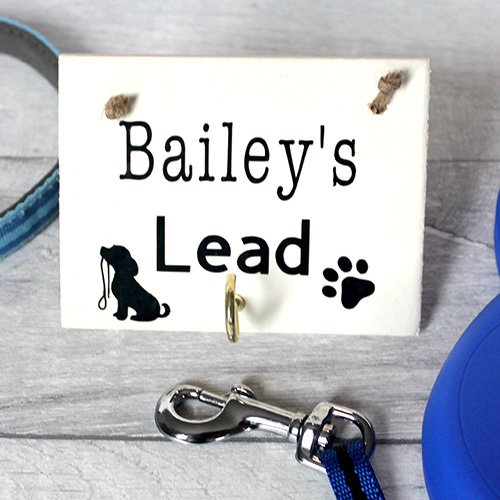 Show that dog lover how much you appreciate them for this brilliant that he is best by getting him this bailey’s lead plaque! We will try and match the image of the dog to that of yours..
As a nation we are renowned as Animal lovers. Simply give us something for our beloved pooches and we’re happy! This small pet plaque proudly display’s the love for your Dog. Your home sweet home just wouldn’t be the same without them so why not check out all our range of dog themed gifts. 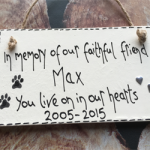 With a choice of all different styles and sayings including personalised dog plaque quotes, memorial plaques, wooden hanging hearts and more. Hang anywhere in the home for a cute accessory.